Spaceist works with a range of organisations ranging from small businesses to international companies. We had the chance to work with business strategic and creative communications firm Salter Baxter to furnish a new office space in the Whiteley Centre, London. 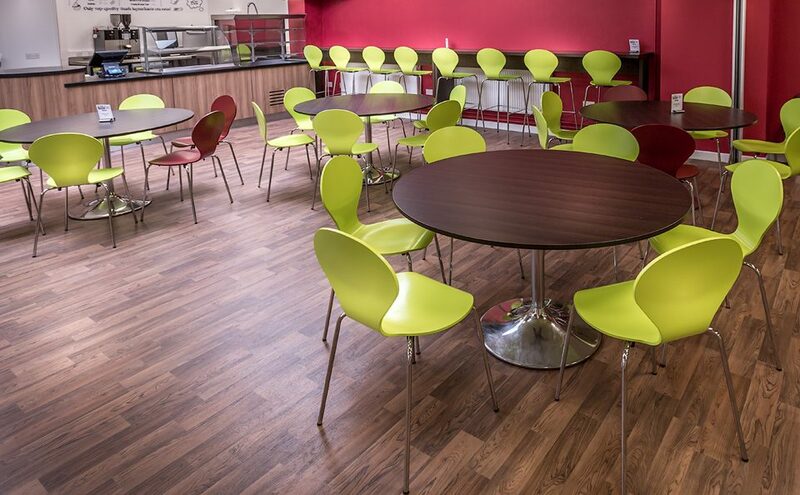 The new premises is bright and spacious requiring a suitable desking and storage option to support the daily activities whilst complementing the new office interior. Based in the stunning original Whiteley Centre in Bayswater, London, the new office boasts high ceilings, large arched windows and original structural columns throughout. 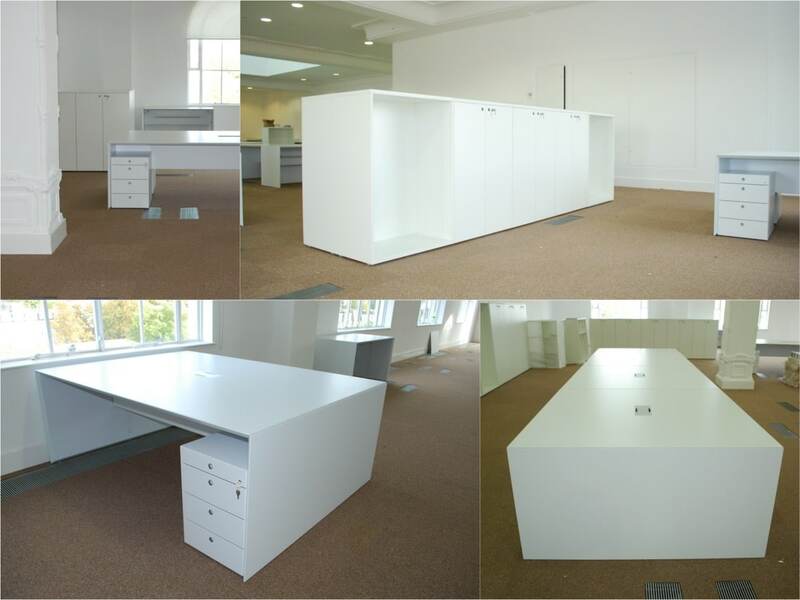 The large open plan office space required a reception desk, office desks and suitable office storage. 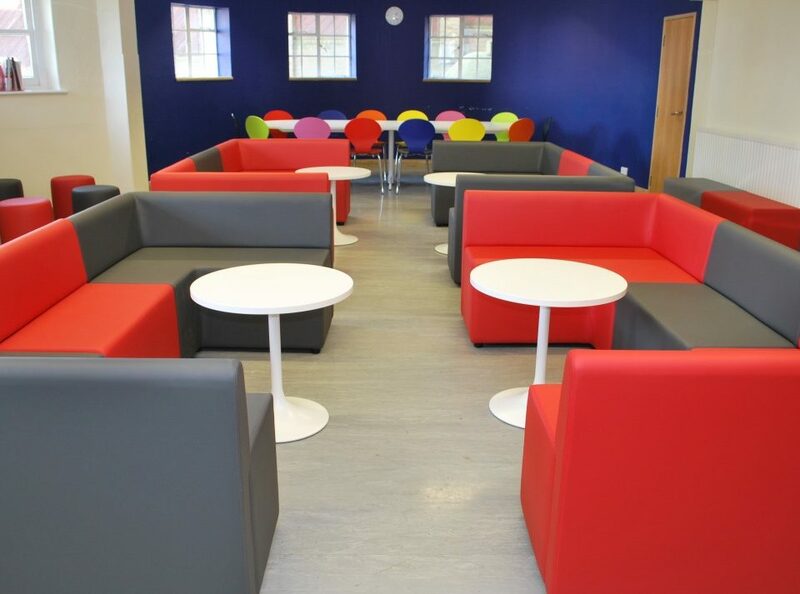 The entire furniture package we supplied needed to enhance the use of the room without affecting the overall aesthetics of the entire space. For the reception desk, we selected a desk from the Forty-Five range. 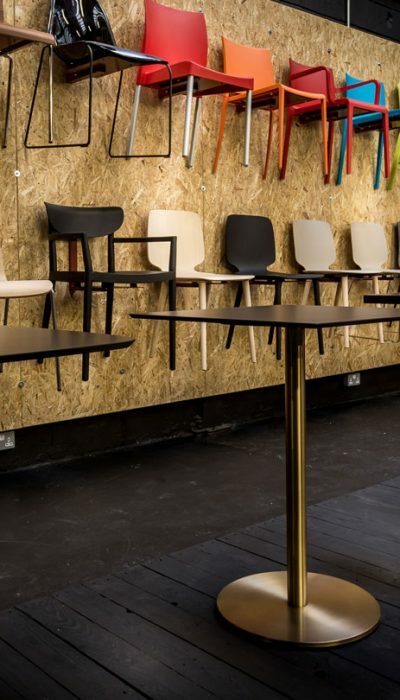 This clean and sharp office design range offers a minimalist style with high functionality. Selected in a 300 cm x 75 cm size, the Forty-Five desk is composed of a distinctive 45° degree edge with a solid white laminate finish made for high impact application. The office desks also come from the Forty-Five range. This particular range was chosen for a number of reasons. The style of the bench desk system presents the style of a 1960’s classic design with updated appeal. 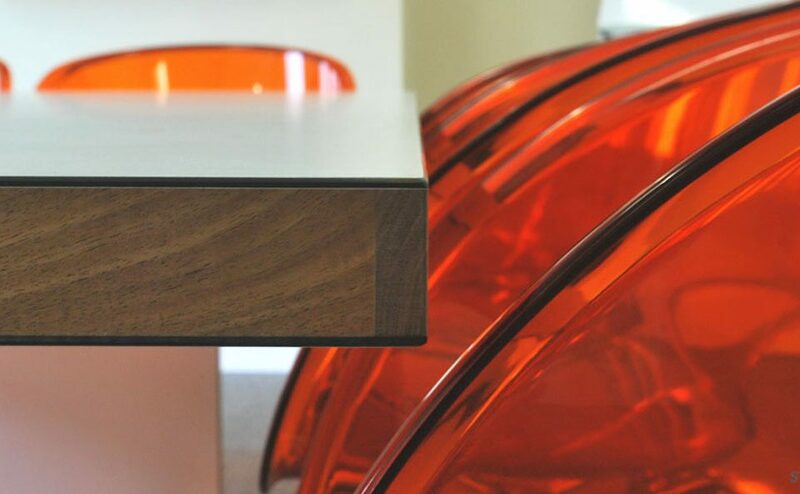 Fully integrated cable management and storage add to the highly functioning nature of the desk. 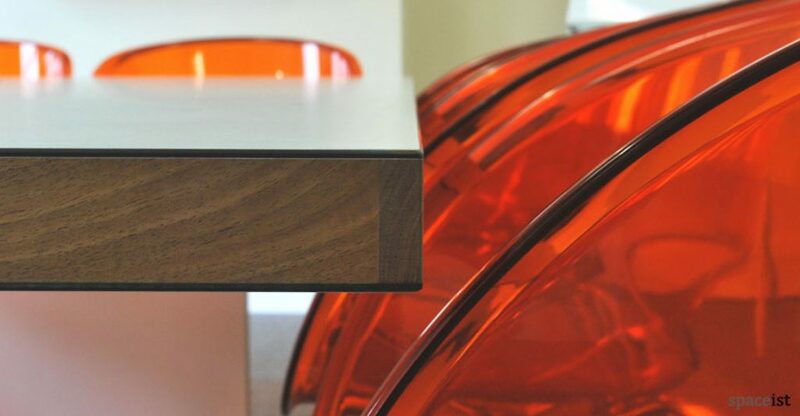 The form of the desk along with its 45° degree edging means there are no visible joins, adding a further refined look. 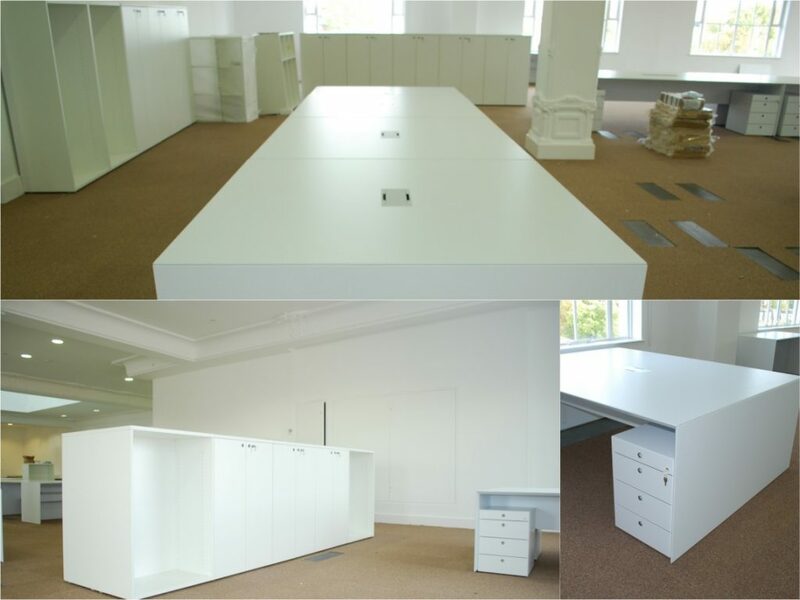 We supplied the client with a 300 cm x 150 cm bench desk, forming back to back workstation space along the room. Working with such a large open office space permits the creation of smaller spaces through the introduction of storage units, that are high enough to create a sound barrier but low enough to permit the flow of light. Here, at the offices of Salter Baxter, we introduced XL storage cabinets and low filling units to create this effect. 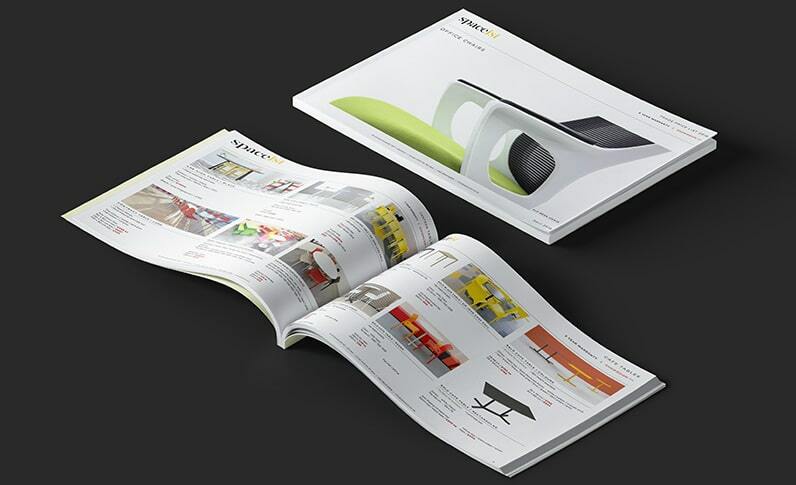 The robust XL range offers modular extensions along with fully integrated internal storage. A simple mechanism allows units to be locked together to form a line of storage, with height options from as low as 82 cm to 202 cm high. Inside, the XL storage units include shelves, hanging files and a safe lockable door system. 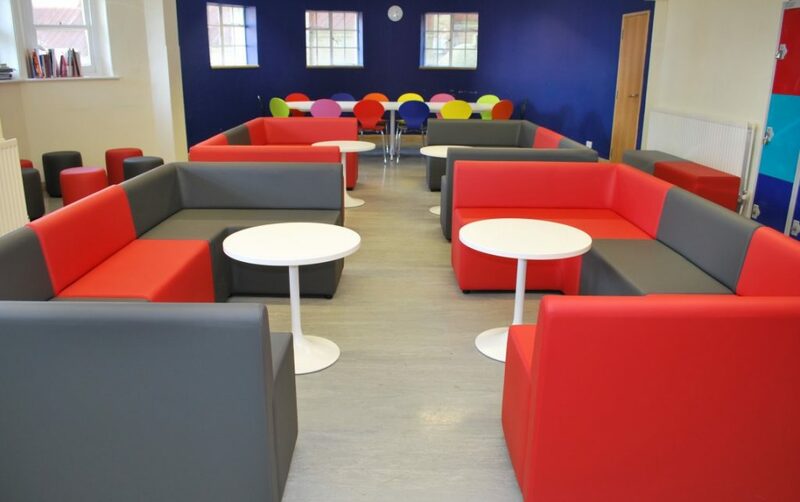 Through our vast knowledge of office furnishings and the specific requirements of modern workplaces, we are able to work with clients like Salter Baxter to furnish a modern and high-functioning office space with a satisfying end result. 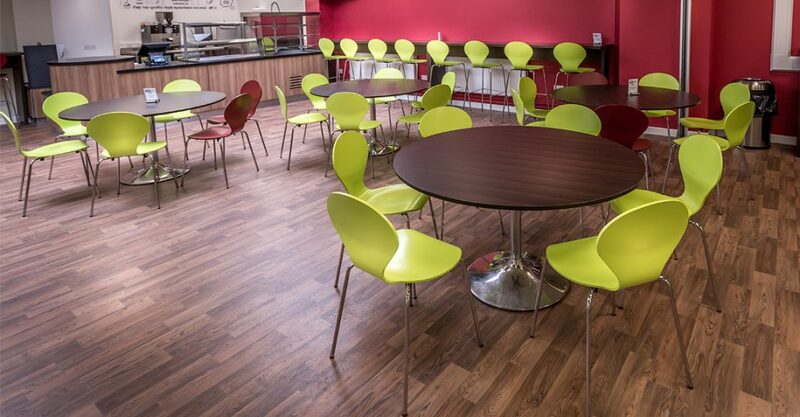 To further discuss how we can help you on your next office project, please get in touch.